Image credit: Putok Do You Know the Truth? After Miguel de Loarca’s pseudo-census of the Philippine Islands, Spanish documents for all intents and purposes went silent in the 1580s on anything that had to do with what would over time become the Province of Batangas. This was likely by no means deliberate and more due to politicking between the Spaniards themselves, often to the detriment of the native Filipinos or the Indians as these were referred to by the conquerors. 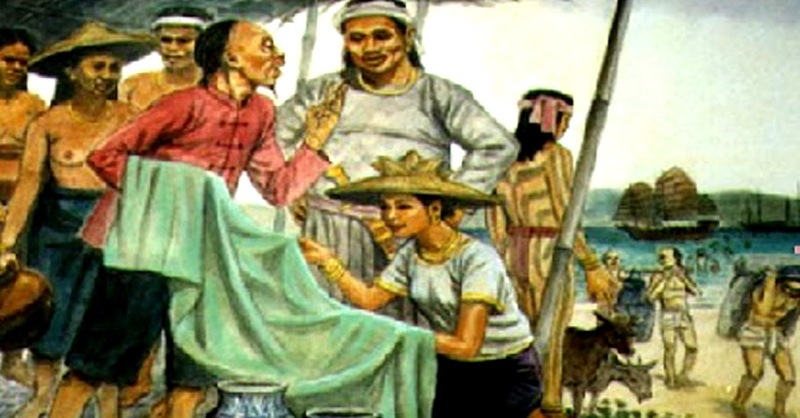 We assume that the conditions in the islands as described in the documents that the Spanish wrote in the decade, particularly those done by the clerics, were true as well in Bombon, Balayan, Batangas and other pueblos that the Spaniards set up and administered since their arrival in Luzon in 1570. By 1580, Francisco de Sande had been replaced as Governor by Gonçalo (Gonzalo) Ronquillo de Peñalosa. The latter, whilst still in Madrid, had proposed to Felipe II, the Spanish King, that he would go to the Philippines at his own expense and take with him 800 men.1 The King accepted the proposal, which also meant that de Sande had to return to Nueva España. The arrival in 1581 of the newly-appointed Bishop Domingo de Salazar was a further complication for de Peñalosa. In de Salazar, the native Filipinos found a champion who was willing to expose the abuses of Spanish governance in the islands. These abuses, presumably, were prevalent even in Batangas. It was de Salazar who reported these excesses to Felipe II and the Royal Audiencia in Nueva España. Upon de Peñalosa’s arrival, de Salazar wrote, there were only three or four alcalde-mayores in the country. The new governor proceeded to appoint more until there was a total of sixteen, who were mostly his own protégés. While the position of alcalde-mayor was created to perform administrative and judicial functions as explained in the previous chapter, those appointed by de Peñalosa used the position for their personal gains. The natives were also often taken forcibly from their own homes to act as oarsmen when there were expeditions arranged. These oarsmen were paid very little, if at all. Most of the time, the payments due to them were divided by their village officials, presumably the alcaldes-mayores and their cohorts, between themselves. De Salazar described one time when de Peñalosa sent an expedition to Borney; and the payments due to the oarsmen who were taken from Bombon, amounting to two thousand pesos, were again split between these officials. This same document intimated that the “province” of Bombon, Balaian (Balayan) and Mindoro, with a population of twenty thousand Indians, was among the three most important in the country. The other two were Pampanga and La Laguna de Bai (Bay). 1 History: Discovery and Progress by T. H. Pardo de Tavera in the “Census of the Philippine Islands, Taken under the Direction of the Philippine Commission in the Year 1903, Volume I.” Washington, 1905. 2 At the end of an official’s term, he is required to stay “in residence” for a month or two, during which grievances might be brought up against him before an appointed official. 3 Letter from Gonzalo Ronquillo de Peñalosa to Felipe II, from the Blair and Robertson series “The Philippine Islands: Volume V: 1582-1583.” June 1582. 6 An officer of the court; a sheriff.